How do you make money blogging? - What's up Blogging? How do you make money blogging? I get asked this question a lot in real life. While it seems most people are familiar with the terms “blog” and “blogger,” most people reference them in connection with family update blogs, ones that don’t make money, but contain lots of pictures of happy kids and happy families with the occasional rant or thoughtful or helpful post thrown in. While my blog still also contains pictures of my happy kids, the occasional rant, and hopefully thoughtful and help advice, I make money blogging too. It may not be very much money right now, but I do earn money from blogging. So, I bet you want to know how can you make money blogging, especially if you a blogger, or looking into earning money online. There are three common ways how bloggers earn money. The most common way to earn money from blogging is through ads and ad networks. The second most common way you can make money blogging is through affiliates and affiliate networks (i.e. trying to sell products to earn a commission). And the third most common way to make money blogging is through sponsored posts by either directly working with companies or working with go-between organizations that connect bloggers with businesses. In this post I will only be sharing about companies I have personally worked with. There are still hundreds of other resources and companies to monetize with in the following three ways. And there are still additional revenue streams for bloggers to look into besides the following three. The easiest thing a blogger can do to monetize their website is to put up ads. Everyone know what ads look like on websites. 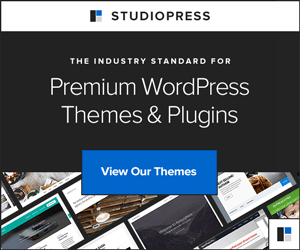 It’s easy for bloggers to monetize with ads because all you need to do is grab some code and put it in your sidebar, header, or footer, and start making money! It’s very passive; no promoting necessary. Each ad network has different pay structures and requirements. Some only work with really big bloggers. Others will take on the little guys. Some have 100% fill rate (which means an ad will always show up in that spot instead of being a big blank white spot in your blog sidebar) and some pay solely on CPM (cost per 1000 impression) while others are structured more for CPC (cost per click). And many have a limit as to how many of their ads you can have on your site at once and where they are placed (ATF – Above the Fold – or BTF – Below the Fold) , which is why many bloggers will sign up with a few different ad networks in order to optimize different ad spots on their website. The most common and well-known ad provider is Google Adsense. So far I have only cashed out once from Google Adsense, which requires you to meet a $100 threshold, but I will hit my next payment in a month or two. But, there are hundreds of other ad networks for blogger besides Adsense! I signed up with Today’s Mama’s ad network for my website and just got approved with Riot as well. Riot ad network has offered me a very high CPM and has been good to work with. Plus, I also implemented a few in-post ads from Media.net on my most popular posts as well. They appear after the main image on these posts: Beginner Running Tips, How to Make a Year of Dates, and Spring Cleaning Tips and Tricks. Each month I am averaging about $20-30 each from Adsense and Today’s Mama and about $15 a month from Media.net. The nice thing about Today’s Mama is they payout every month with no threshold requirement. However, their CPM is pretty low, at about $0.22 a month or less. My general rule is I try not to be too obnoxious with my ads, although I have several on my blog in various locations. Some people really like Infolinks, which does pay well (I tried it out months ago for like two weeks), but I feel like they are tricky because the ads look like text links taking you to something related, but then take you to an ad page. Or Infolinks will popup at the bottom or sides of the page. I generally try not to interfere too much with my reader’s experience, because I don’t want them to click away because of flashing, popping, or music-playing ads annoying them. But, it is up to each blogger to earn money in whatever way suits them and their needs. I also signed up PadSquad, which is an ad network for my mobile visitors. Since about 70% of my traffic was coming from mobile, but only made up about 45% of my ad revenue, I knew I was missing out on making money on all the great mobile views of my site. Padsquad shows ads and reformats my site so that it is mobile friendly. They also have a very quick response team and want to make you happy, and will change things if you ask them. Working with them has been very profitable! And has increased my pageviews tremendously, as it is mobile-friendly, and because mobile pageviews are reported differently to Google Analytics. I highly recommend them. However, if you are primarily a food blogger, you can’t join the PadSquad network right now. In that case, I’ve heard great things about Marfeel. Being an affiliate is probably the second easiest way how you can make money blogging. To earn money as an affiliate, someone needs to click through your unique affiliate tracking link and (most often) buy something or sign up for something (like an email list, or an entry into a sweepstakes, etc). There are lots of items, products, and companies you can be an affiliate for. Pretty much anything that can be sold online has affiliates for it. Some affiliate programs also have really long cookies, which means if a person who clicked on your link doesn’t immediately buy something, but come back and buy that product later in that month, you would still make a commission! The amount of commission you make is up to the advertiser and companies and products you are promoting. Some have huge commission rates of 50%, but most fall somewhere in the 3-20% range. However, most are willing to raise your rate if you sell several items through their link. It can be hard to determine what products you should promote on your blog. While you can have some control over the ads that appear on your site, you have 100% control over the affiliate programs and companies you work with as a blogger. I would start by asking yourself what products and companies you personally love; it makes it easier for you to share and promote about things you are already really passionate about! Go to those company’s websites and look for “affiliates” in their footer and figure out how to work with them. However, you also want to make sure that the things you love also fit with the theme of your blog. Trying to sell your fave brand of toilet paper may not prove successful on your food blog (and might give the wrong impression… ha ha ha). And once you are signed up and approved to be an affiliate you can start putting up banners (like ads, but usually with a fixed image) in your sidebar and hope people click on it and complete the required action (purchase/lead/subscribe) so you can make some commissions! Or, you can be more proactive (which chances are you will need to be if you actually want to make money as an affiliate blogger) and include affiliate links in your blog posts as text links, or put banners within posts, like I did in these posts – Freebies for New Moms, How to Save Money on Web Hosting, Father’s Day Gift Guide, and Kellogg’s Family Rewards. You can also often (though not always) share your personal affiliate links on your social media networks like Facebook and Twitter. It can be subtle or overt, but however you do it, the point is to get people to click and complete the required action. Because, you don’t make a commission or advertising fee if they only click and look. But, be sure to let your readers know that you are using affiliate links in a post, before any affiliate links are used per Federal Trade Commission (FTC) requirements and mark all affiliate links as rel=”nofollow”. When you start looking into affiliates, chances are you will likely have to sign up for an affiliate network or two. Don’t be scared to join them! These networks often work with 100s or 1000s of companies and make it very easy to find and join other affiliate programs. But, we aware that many have thresholds (usually $15-50) you have to meet before you can make money blogging with affiliates! This is (I believe) the most popular affiliate network. Everyone knows Amazon.com and most people feel super comfortable buying from Amazon and are already buying from them. So, it just makes sense to work with them and try to make a commission! However, the cookie window is only 24 hours and the commission rate is low, starting at 4% or so and you can’t be an affiliate in some US states. However, they make it super easy to grab widgets, codes, text links, and banners for any item available on Amazon. And, your readers don’t have to buy the particular item you linked to, which is a huge advantage of working with them. You may get lucky and have someone go on a shopping blitz after they click on your link, because they remembered that they needed to buy something, and you’ll make a commission! Plus, another big benefit of the Amazon Affiliate network is they payout on their account at only $10! I like to put any specific product I mention (like Bar Keeperes Friend) in a post as an Amazon affiliate link. Commission Junction, or CJ Affiliate by Conversant is the first affiliate network that I joined (after Amazon), way back in September of 2013. However, I’ve only made $3 to date with them. Part of my frustrations with CJ.com is that it is a little difficult to use their interface and links, and I just haven’t had much luck with them, yet. They boast thousands of companies to work with as an affiliate, so I’m sure that you can (and many do) earn a lot of money from them. I just haven’t really been working hard on earning through the affiliate networks I’ve joined. With CJ I’m an affiliate for Cardstore, ABCMouse.com, LivingSocial, Minted, Reading Eggs, TheCuteKid, and Upromise, among a few others. I have been using Escalate Network heavily in the last month or two and have indeed made some affiliate sales through them! They are great to work with, run fun giveaways and promotions and have a great staff who is always there to help answer questions, get you the best commission rates, get new banners, or whatever it is you need! Plus, The Escalate Network also offer a coupon widget (which I have installed in my lower sidebar) that I make money from based on CPM (impressions) as well as their own ENfluencer network for sponsored posts! Also, they payout when you reach just $15! Mommerce is both an affiliate network and a blogger campaign network. But, foremost they are an affiliate network. I did a campaign with them for Father’s Day, which essentially was getting paid to write two posts and promote their network affiliates. I haven’t done much with Mommerce besides those posts. Impact Radius is very small (as far as I know). I only have two affiliates associated with them – diapers.com and savings.com. Savings.com is also a blogger campaign network, which I’ll share more about later in this post. You can also sign up with the Diapers.com sister sites as affiliates. This is one of the more popular affiliate networks as they partner with some great companies (especially for “Mommy bloggers”) and eas(ier) to navigate (although I am still pretty confused often on it), and offer some great commission rates! There are some great popular companies you can sign up to be an affiliate for, like KiwiCrate, Craftsy, Little Passports, Tea Collection, and Gymboree, just to name a few. So far I’ve only made two sales through my affiliates associated with ShareASale, but I’m thrilled as I haven’t been advertising that product for very long! Payout is at $50. The Pantherea Interactive Network is a smaller affiliate network, but I have been successful at making some commissions with them and the companies they work with! And they payout monthly. The Rakuten LinkShare Network is a pretty large network that deals with some large companies like LeapFrog.com, Kohl’s, Melissa & Doug, and more. I haven’t really done much with the affiliates I am signed up with and as such, haven’t made any sales through Rakuten or its affiliates yet. They have a $50 payout threshold. While anyone can refer their friends to Groupon and get a referral friend bonus, you can become a Groupon affiliate, where you can still tell all your friends about great deals and offers, but make a commission on the sale, which, depending on the Groupon could be much more than the $10 referral credit. Once you are an affiliate, you download a marklet tool which lets you easily grab code for any deal on their website. Pretty sweet! And because people know and trust Groupon, it’s easier to sell and market their products. The payout threshold is $25.00. I have been a ShopAtHome.com customer for a long time, and decided to sign up for the affiliate program, because I wanted to let my readers know that they could score cash back on stuff they are already going to buy online! They also have any easy to use interface that allows me to grab any particular merchants page from their site. ShopAtHome.com‘s affiliate program is a little different in that they pay per lead. So, anytime someone clicks through to one of their merchants, I make $0.35. However, I still haven’t cashed out with them yet, as you have to hit $50 before you get paid. I only recently signed up with HEDUA, but haven’t really touched it since. So far I’ve seen some blog planners and original homeschool planners in their affiliate program, which look pretty awesome. Putting up ads and signing up with affiliates is fun and relatively easy, but it doesn’t usually equal a lot of income, especially for small bloggers who are just starting to monetize, unless you just happen to have an audience that is already looking to buy something. So thank goodness for sponsored posts! Sponsored posts are a fabulous, fun, and sometimes easy way to get paid! Sponsored posts are blog posts that you are commissioned, or hired, to write on behalf of a company and or campaign and products. Usually there are very specific parameters to the assignment, links to include, hashtags to use, and perhaps some images to include as well. 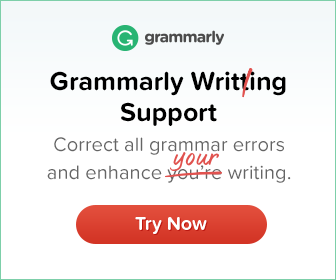 The really great sponsored posts are the ones that allow for a lot of your own voice, because unfortunately, the big problem with sponsored posts is that they can start sounding like a giant ad for a product, which can definitely turn off your readers. Chances are they like your blog because of YOU and your voice and your opinions. So, my advice is to only promote products that you like, use, or that fit your readership. Don’t be swept away by the paycheck! Think about how the sponsored post and its product could benefit your blog. I haven’t always been perfect about this, because it is easy to just want to promote anything for money. So, be wise with what you apply and accept as offers. And NEVER accept working with companies who ask you to put in links without pay, or who will pay you but ask that they are dofollow instead of nofollow or you could get in trouble with the FTC. The following are some companies I have signed up with that work with both advertisers (companies/businesses) and publishers (bloggers). Instead of looking for companies yourself, they connect you with them, and vice versa. I’ve even included a little as to how much you can expect to earn from them and some of the posts I have done on my blog with the various companies. Business 2 Blogger was the very first blogging influencer network I joined. 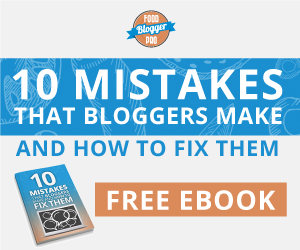 It’s simple and easy and great for small bloggers. Most of the compensation is in the form of free stuff, particularly books. If you are book reviewer, it’s a great place to look for books to read and review for free or for a small profit. I wrote the following book reviews thanks to Business 2 Blogger: Fear and Carnival of Death, Every Natural Fact, and The Iron Duke. I also wrote about An Entreprenuer in Every Home. Tomoson is another great company to work with for beginning bloggers as they mostly do free products in exchange for reviews. However, they recently added the option of doing paid reviews, although I haven’t had any luck with those yet. I did a review of a Picture Puzzle and BeltLock. Most of the products are books, beauty, health, fashion, and kids, but new products are added weekly. US Family Guide doesn’t usually offer much in ways of cash compensation, but they do often offer you tickets in exchange for promoting state, regional, or national events. Last year I did a sponsored post with them about getting a Free Photo of Santa by your Christmas tree. My compensation was also getting the free photos with Santa for myself. However, I did get some decent traffic and present my readers with something fun for their families. Sverve is one of the first influencer networks I joined. Basically, people endorse you for being an influencer in various genres, and that helps your Sverve score. A lot of companies want you to have a Sverve score of 50. Thankfully, it’s not necessarily based on the amount of traffic or followers you have, just the amount of influence (or klout) you have. I have done three blog post campaigns with them. The first one was for the Girls Empowered Network (GENAustin), the second for Preggonista (which I became an affiliate for) and I just completed one for COGITO watches. The compensation varies from just a product or affiliate opportunity, to $100 or more. Also, Sverve hosts Pinterest, Twitter, and Youtube campaigns which operate like affiliates. BlogHer has never accepted me as part of their blogger network, but thankfully they have into their social media influencer program! They accept influencers for Twitter, Pinterest, and Facebook. I have completed three campaigns with them so far. The Facebook and Twitter campaigns consist of 8 touts (tweets or status updates) over the course of several weeks using certain hashtags and urls. It’s pretty simple to schedule out ahead of time with tools like Buffer or HootSuite (my preferred tool). And 45 days after the end of the campaign you will get a $50 check in the mail. Just make sure to regular input the touts on Blogher. Clever Girls Collective runs some campaigns, but a lot of Twitter parties with some big prizes. I have yet to work on a campaign through them, and have participated in a few of their twitter parties. They almost chose me for a campaign as a backup but I was just a tad too slow in responding back to the email! Darn! Most sponsored posts pay in the hundreds. Collective Bias is also Social Fabric and is not just a business to blogger platform, but a support network for bloggers, with their SoFabUniversity blog program. Collective Bias offers shoppertunities for bloggers. Basically, you can apply for various shops on their network website which ask you to go in store to Walmart, Walgreens, CVS, or regional grocery stores (and so on) to buy specific products (taking pictures in-store), test them out at home, and then write a post based on a prompt, incorporating the product into your story and images. They not only compensate you for the products you purchase, they also pay pretty well, usually $120-160 or more. I have completed three shoppertunities – one for Disney’s FROZEN, one for Walmart Family Mobile, and a recent one on summer legs. They have been great to work with too! Find Your Influence is also a company that will let you know when an advertiser has selected you to work with them on a campaign. No applying, or being rejected. However, I still am waiting for my first campaign! Linqia is different from a lot of the influencer networks because you actually get paid per click ($.80 or so), not just per post/shares. This is often stressful for a lot of bloggers, because you worry that, even though you have the potential to earn $200 for a campaign, you can fall very short of that mark. For my very first campaign, for FruitShoot, they set my click max at 246 clicks! Talk about a LOT of action needed, especially for a smaller blog! Needless to say, I didn’t reach it in the allotted 3 week window for the campaign. This was partly because I didn’t post earlier in the campaign window. I ended up with only 178 clicks. But, I still got paid, and quickly, after the end of the campaign. I just started my second campaign for them – for Huggies and Diapers.com – and they lowered the amount of clicks needed to 212 with a lower max payout, based upon how my first campaign did. The key to making Linqia truly profitable for you is work. Linqia campaigns involve a lot more work than most campaigns, but pay well and quickly. Just make sure to post the first or second day of the campaign, tweet out the link at least once a day, pin to several Pinterest boards, preferably group boards, and ask for your blog friends to also retweet and share you post to their audiences. I have applied to some campaigns with Markerly, but haven’t yet worked with them. They send out emails with opportunities for you to apply for about once a month or more. I don’t know how well they pay. Mom Central frequently sends out emails about twitter parties and sponsored campaigns which you have to individually apply to. They cover a wide range of genres and products. Most things are paid product reviews. It took me months until I got my first campaign, despite applying for a dozen or so (some that I really wanted too!). Just make sure you email them once a month with your current (and better) stats to improve your odds of getting one. I did two campaigns with them so far – Huggies Little Movers at Target, and Vitafusion Multivites. The compensation is usually in the form of products and $50-150 in gift cards. Mom It Forward runs #gno (Girls Night Out) Twitter parties, Google Plus Hangouts, offers family and blogging retreats, free Printables, and also paid sponsored campaigns, and they generally pay in the hundreds for their campaigns. I just got accepted for my first campaign with Mom It Forward, which will involve a guest post on a toy company’s site, and a post on my blog, as well as free toys from them to try out. I’ll get $50 per post plus product. They are definitely a company worth connecting with as they are very family focused and value-oriented. Pollinate also offers high paying campaigns and opportunities. I haven’t done any yet as I only recently signed up. They send out promotions through email. They also have a sister company called Weave Made which is specifically for bloggers with 20,000 or less monthly pageviews. Savings.com runs sponsored campaigns, as well as an affiliate program, often for exciting coupons and sweepstakes, where each print or entry into a sweepstakes through your link pays you $0.10-$0.20 or more depending on the opportunity. I have really enjoyed working with Savings.com so far. I did a sponsored campaign with them for my How to Make an Easter Bunny Cake post and affiliate type post for an HP Pavilion Laptop Giveaway. This is one of the newest network I’ve joined, and there’s been some hubub about their name, as they are competing with the SITS Girl’s Massive Sway brand (see below). I haven’t done any campaigns with them yet, although I was offered one but denied it because it was asking a lot for a lot social shares (and a post) for not a lot of money. Plus, I couldn’t agree to the commitment at this time. But, Social Swayy is another platform to potentially work with. She Speaks runs Twitter campaigns, surveys, and occasionally campaigns. I have only done one campaign with She Speaks – Make Springtime Memories with #FebrezeSpring. I received Walmart gift cards, as well as the Febreze products I reviewed. I have completed one post for the SITS Girls or Massive Sway. It was to promote Home Run Inn frozen pizza. They regularly send out emails with their newest campaigns for you to apply for though they don’t offer a ton of campaigns, and most pay well, usually $100-$300. I really like Izea, even if I haven’t always made a lot of a lot per sponsored post (most between $15-60) but some people make a lot with them. They are different in that you write the sponsored post in their network, putting in any required images or links, and then submit it to be approved. If it isn’t, they’ll tell what changes need to be made, you’ll resubmit it, and then you can post it on your blog, or have them auto-post it for you. I’ve had to rework some posts before, sometimes because of my error, and once because of theirs, but they more than compensated the error on their behalf, which let me know that they take their work, and mine, very seriously; IZEA is fabulous to work with! I’ve done the following posts with them: Keep Good Going, Dare to Compare White Cloud Laundry Detergent, Swap.com Online Kids Consignment, How to Care for Your Mattress, Kids are Messy, and EmbarK12 Online Preschool. You can also negotiate the prices, and you get paid 30 days after the post goes lives via paypal. Right now IZEA is a place for you to put in bids on twitter tweets, and blog posts, with more options in the works. With the $1 a month plan, you can get unlimited bids each month, and cash out at $50 instead of $100. Basically, you check out what’s available and place a bid (how much you want to get paid) and they’ll come back with their offer or a denial. I’ve done several sponsored tweets so far, each for a few dollars each. IZEA is an easy way to make some extra money with your influence! TapInfluence is kind of nice because you don’t have to apply for the campaigns! Companies look at your profile and media kits and determine if they would like to offer you a campaign and then you receive an email telling you about it, and you can either choose to accept or reject the offer. In fact I just received my first offer from TapInfluence! I hope I didn’t make your head spin with too much information all at once on how to make money blogging. 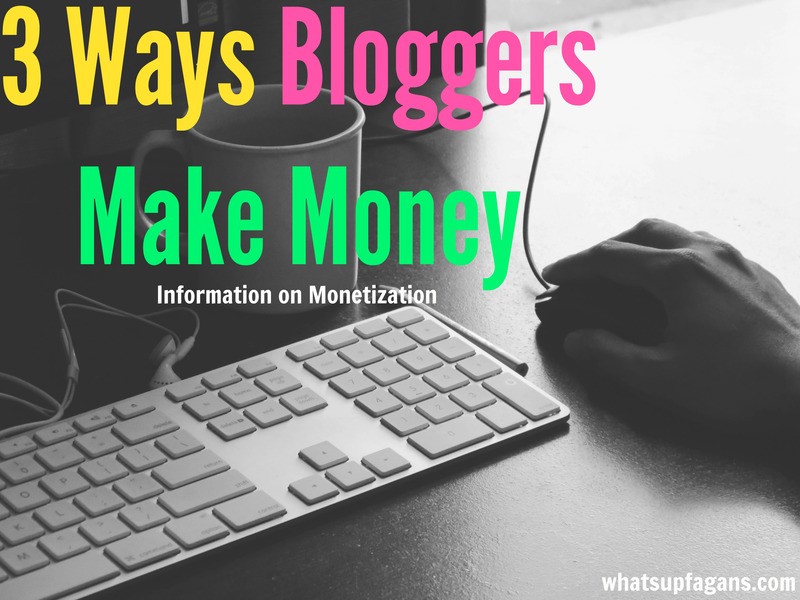 But, the truth is, there is not just one way you can monetize and earn money blogging. There are several and certain people feel more comfortable with one method over another. Do what feels right to you and trial and error is always fine. Good luck! For more great blogging tips, follow my Blogging board on Pinterest! And if you are thinking about starting a self-hosted blog, check out my blog post on how you can save BIG money ($15-$65) on hosting costs! These are great tips! Thanks for sharing. I haven’t heard of a few and am on my way to check them out. Hi Katelyn! What a great resource, I loved it! You should definitely submit this to the IBA library. There are so many options, it is a bit overwhelming. I know some people do well with Passionfruit too. I still can’t help feeling like there should be an easier way… I just don’t quite know what it is. Great post Katyelyn. Appreciate all the listings and examples. It is nice to know that there are so many more networks now than there were a year ago. This is really helpful. I like that you put which ones are actually paying out for you. Which services pay on CPM? Kim – With Escalate Network they have a CPM coupon widget (plus addition revenue if someone prints a coupon), and Today’s Mama Ad network revenue is split 50/50 with pay based on CPM. And occasionally you can find CPM things through other affiliate networks. Hope that helps! I can’t tell you enough how much I adore this post. It is FANTASTIC!!!! This week you are at the top of my to do list. I will be going through this post bit by little bit and taking major notes! Great information! I didn’t realize there were so many choices. Do you know if you can use all of these if you’re using blogger? I believe you can just fine! The only platform I know of that you can’t run ads on is wordpress.com (not .org) sites. But you can do a lot on blogger, somethings just may be a little different to do than on wordpress. Good luck! Wow – so useful, thank you. I’ve only just started blogging, so this is all very new, but with IVF looming I guess any income would be gladly received! Really appreciate your tips and advice! You are welcome! Good luck with the IVF!! I can’t tell you how helpful this post was for me. I just printed it out! I have never even heard of half of these until now. Thanks for being honest too! Great post! You are so welcome Carolyn! I wanted it to be helpful. So many people have helped me on my blogging journey and I wanted to do the same. Awesome post, Katelyn. You put so much time into putting this together. Thank you!! I am pinning. Oh wow!!! What a lot I have to learn!! I guess it’s a matter of just starting somewhere, with one of the points and seeing/learning as it goes. Making money from blogging, at least a lot of it, is not very easy. Sorry. But, it’s totally doable. I am a new blogger and absolutely LOVE this blog post. It is a lot of really good information and I can’t wait to start making money blogging! !